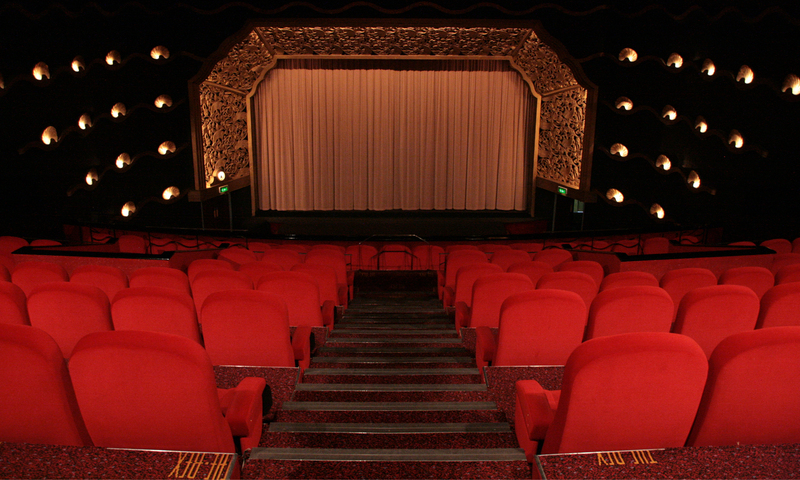 Almost every film we see now is in widescreen, but how did this look come about? With the proliferation of widescreen television over the last decade, it is sometimes easy to forget that until relatively recently films were cropped for home viewing. 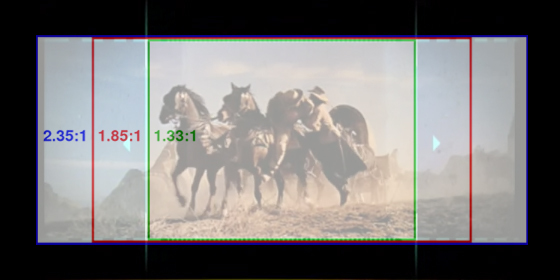 This meant that for a lot of movies, a large percentage of the rectangular image (in the aspect ratios of 2:35 and 1:85) was removed so it could fit the squarer aspect of television (the 1:33 or 4:3 ratio). The roots of this are historical, as the advent of television in the 1950s forced Hollywood to come up with newer ways of enticing audiences back to cinemas. Thus modern widescreen processes were invented to put an image on screen that couldn’t be replicated in the homes of the time. This shifted the fundamental look of films from the traditional academy ratio of 1:33 to the more rectangular widescreen look we now take for granted. But when it came to screening those movies on television (ironically the very medium that triggered widescreen developments) there was the obvious problem of converting that wide image on to a square TV screen. Back in 1992, there was a TV programme where several directors discussed why they shot certain films in widescreen, including Michael Mann (Manhunter, The Last of the Mohicans), Phillip Noyce (Dead Calm), John Boorman (Point Blank) and John Carpenter (Halloween). They discuss how the advent of a wider screen affected their visual approach to making films, but also how it influenced such things as editing, dialogue and even running time. What’s interesting is that Mann’s comment about widescreen televisions in Japan is now the reality. Certain films such as Gus Van Sant’s Elephant (2003) and Andrea Arnold’s Fish Tank (2009) and The Artist (2011) actually used the squarer visual format (a.k.a. 1:33 or academy ratio) for effect. Going back to the 1970s and 80s, directors like Stanley Kubrick (e.g. The Shining and Barry Lyndon) and William Friedkin (e.g. Sorcerer) were careful to frame some of their films so they couldn’t be awkwardly pan and scanned, although this created subsequent problems for DVD and Blu-ray releases. Having grown up in the era of VHS and ‘squarer films’ on television, I instinctively prefer the look of widescreen, possibly because it reminds me of the cinema experience, where you could see the full image and got much better sound. There’s also the crucial matter of actually seeing the film the way the director intended it to look. It still often depends on the individual film, with Citizen Kane (1941) perhaps being the most ingenious use of the camera in the 1:33 ratio (as mentioned in the above clips both Welles, Howard Hawks and Fritz Lang were sceptical of Cinemascope). But with widescreen now ubiquitous in our homes and cinemas is there going to be another shift in the frame through which we see movies? John Carpenter recently revealed the major influence on his memorable score for Assault on Precinct 13. In a recent interview with Simon Reynolds for Vision Sound Music, he talks about his early musical influences and how Led Zeppelin’s Immigrant Song and Lalo Schifrin‘s Dirty Harry theme influenced the score for his 1976 film. Immigrant Song was the opening track on Led Zeppelin III, which was released in 1970 so it is entirely feasible that Lalo Schifrin was listening to it when Dirty Harry was in production during 1971 before being released in December of that year. 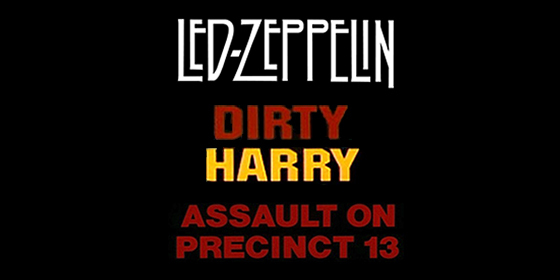 Notice how the theme which accompanies any scene involving the villian Scorpio (Andy Robinson) features a similar riff to Jimmy Page’s guitar, which influenced Carpenter’s main theme for Assault on Precinct 13. It just goes to show how everything is a remix. 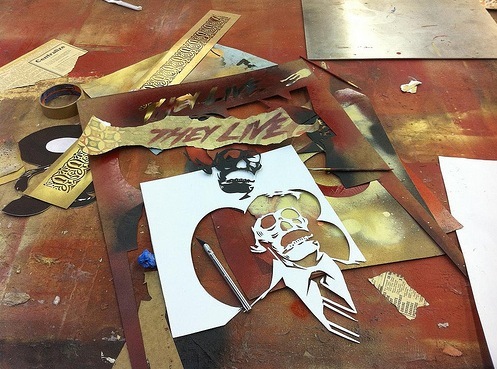 One of the most interesting films of the late 1980s was John Carpenter’s They Live. After his amazing run of genre films in the late 70s and early 80s (from Assault On Precinct 13 until Escape From New York), his efforts at major studios seemd to lack the intensity of his early career. But in 1988 he returned with a sci-fi horror film that was a chilling and darkly comic response to the dark side of Regan’s America. The story of a wandering man (Roddy Piper) who discovers sinister forces secretly shaping society through advertising, it has a new relevance in these recessionary times. Part of what makes the film so effective is that it wraps a subversive message within the form of an entertaining sci-fi thriller. In fact, I would suggest that it is one of the most quietly subversive films ever released by a major studio and was possibly a big influence on The Matrix (1999). Carpenter recently recorded this video introduction for the film for an upcoming screening at the Alamo Drafthouse in Austin, Texas. The cinema recently achieved internet fame by creating the greatest cinema advert ever and artist Shepard Fairey (an admirer of the movie) has even created a special Mondo poster for the screening. With a prequel to John Carpenter’s The Thing in the works, a 1982 making-of documentary is a reminder of the raw terror of the original. Although critically reviled and a box office flop when it first came out, the film still endures as one of the best sci-fi horrorsof the 1980s. Carpenter’s direction, Rob Bottin‘s special effects make up, the ensemble performances, Dean Cundey‘s visuals and Ennio Morricone‘s chilling score are just some of the elements that combine brilliantly. The negative reactions when it first opened were unfortunate, but also part of the reason why the film has endured over the years: unlike a lot of horror films, it is genuinely horrifying. The central premise of scientists coming across an alien in the Artic was adapted from both the 1951 film The Thing from Another World, and the novella Who Goes There? by John W. Campbell, Jr. which inspired it. But Carpenter goes much further, turning the Cold War fears of the original into something darker and more primal. Not only is the Arctic setting claustrophobic and lonely, it plays on the paranoia of a group confronted by something they cannot comprehend. This is also true of the audience as try to get a grip on what the Thing actually is. Most aliens and monsters are vaguely humanoid but the Thing is such an uniquely revolting villain precisely because it is genuinely ‘other’. As a shape-shifting parasite it is also doubly unnerving as it can be anyone at any time. After watching it – yes, this is a spoiler warning – check out this IMDb FAQ and you will see some tantalising ambiguities in the story (my favourite being ‘Was Blair assimilated?’) which add to the mysteries on screen. Back in 2008 Carpenter did a video introduction before a 70mm screening of the film in Bradford and described his approach to the film and why it upset people at the time. It is rare that films flop because they are too successful at what they do, but The Thing is one of them.